Simone, because you are Bernie's new Jewish Outreach Director, you will be known to large swaths of the American population as a "Jewish representative," and that fact makes my stomach turn. Are you guys still US citizens? Have you renounced your citizenship? Why don't you just go back,too? I'm a realist; When an enemy screams "Death to Israel! Death to America!" I take it seriously. 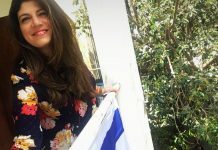 If I love Israel, do I actually have to hate America? What a stupid question, of course not! Regardless of your opinion on the hareidi community, the food is delicious and super-duper kosher! It was the "first family event I missed due to aliyah." Two Jews on a bus going the same -yet opposite directions, to hopefully, the same place. Enough is Most Definitely Enough! 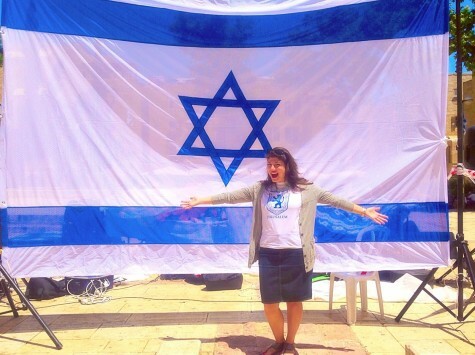 Now is the time to wave the flag, stand on a rooftop & scream "Am Yisrael Chai"--We are NOT leaving! When I think back to one year ago it actually feels like a lifetime ago; I was truly another person. Supporting Israel is great. Visiting Israel is great. Donating to Israel is great. Singing hatikva is great. Flying an Israeli flag is great--but none is the goal. Start thinking about aliya. You'd think my passion, language skills&sparkling smile would've opened doors for me, right? Not so! My stairs had been built, big and strong-BUT ON THE WRONG SIDE OF THE APARTMENT! I've decided to move away from my safety net-and I wouldn't change that decision for anything. If you are Israeli or a supporter of Israel, you know that the UN has ONE very important function. They are there to ruin the international reputation of Israel. Hill's Israel concert was selling tickets for months. Had she even planned a concert in Ramallah?